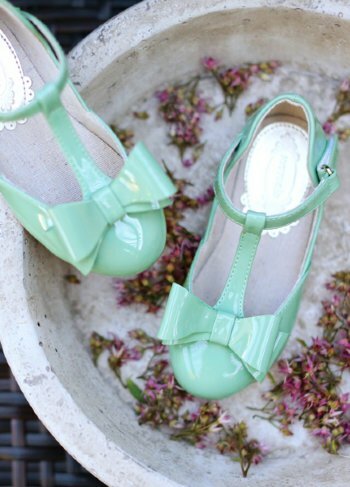 Girls Dainty Bow Shoe Green. These dainty shoes include a T-strap with a pretty patent finish. Youth sizes will not have T-strap. The pale pink hue will be perfect for her favorite ensemble. They include a matching clip!